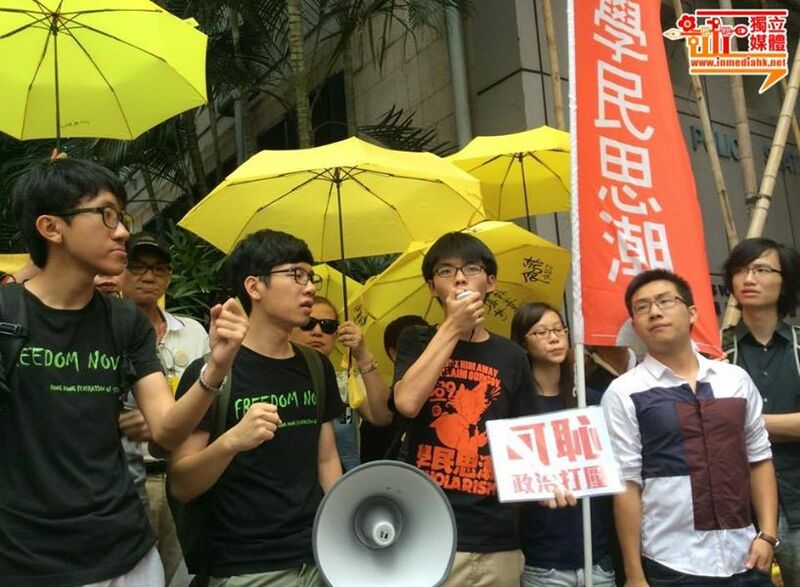 Student activists Joshua Wong Chi-fung and Nathan Law Kwun-chung were charged on Tuesday after they burnt copies of the State Council white paper during a protest outside the China Liaison Office last June – a full year after the incident. Wong, leader of student group Scholarism and Law, secretary general of the Hong Kong Federation of Students, were charged with obstructing police during last year’s protest. Both are due to appear at Eastern Court in Sai Wan Ho on Friday morning. 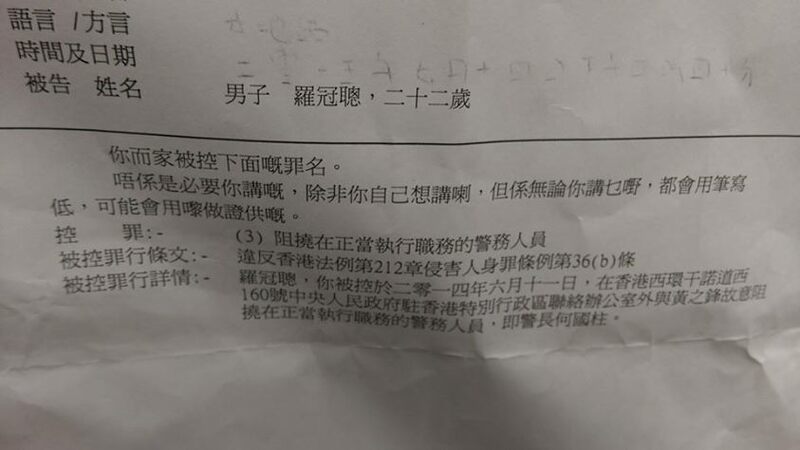 Nathan Law’s charge sheet. Photo: Nathan Law via Facebook. Joshua Wong and Nathan Law. Photo: Inmedia via Facebook. Wong and Law were among four activists charged by the police for their behaviour at the protest last year. The protesters marched from Western Police Station to the Chinese Liaison Office, where they burnt replicas of the Chinese State Council white paper on One Country, Two Systems and hell bank notes. 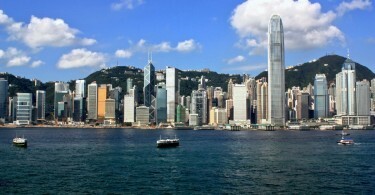 The white paper referred to One Country, Two Systems but emphasised China’s “overall jurisdiction” over Hong Kong, and stated that the city would only enjoy autonomy in areas decided upon by the Chinese government. Police charged the pair with obstruction of police duties. 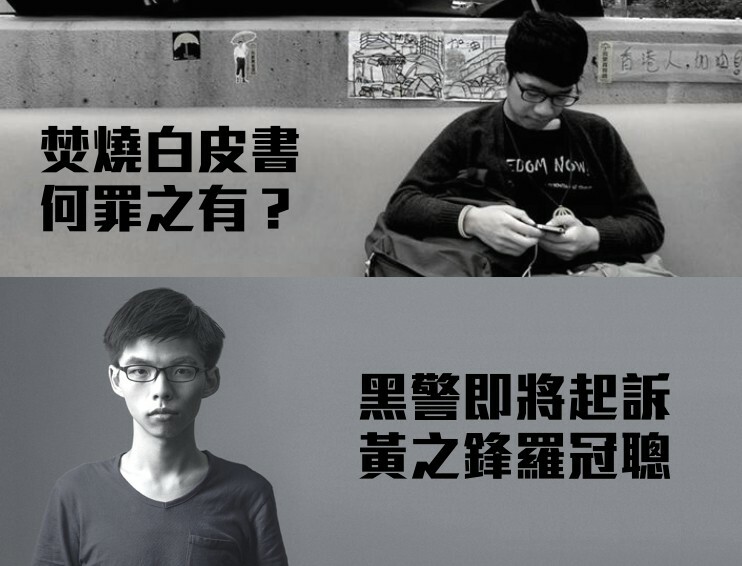 Recently, Wong and Scholarism have advocated for amending the Basic Law in order to draw attention to controversial articles such as the national security law. Law and the Hong Kong Federation of Students will take part in the University of Hong Kong march on Thursday against political interference of the institution. The League of Social Democrats vice-chairman Raphael Wong Ho-ming and People Power lawmaker Albert Chan Wai-yip, who also attended the protests last June, were both charged with obstructing the police last week.